L’Accademia della Farina 1882 is a modern bakery, pizzeria and pastry workshop with a professional kitchen and a multimedia room that can accommodate up to 100 people. A laboratory where bakery, pizza, pastry’s Masters and chefs can make demonstrations and events. 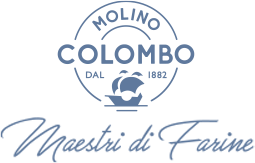 A place where you can grow and improve your knowledge, to be able to fully understand the unique characteristics of Molino Colombo’s flour and to be able to touch yourself the passion, love and care that characterize our productive philosophy. L’Accademia della Farina 1882 is also a modern multimedia training room, an ideal place for the formation of our sales network and for face with our customers the challenges of the market, for analyze the market trends, for find innovative solutions and ideas for future management of our partners’ activities.